On Monday, Carol Ann brought her new pony Jinny out. 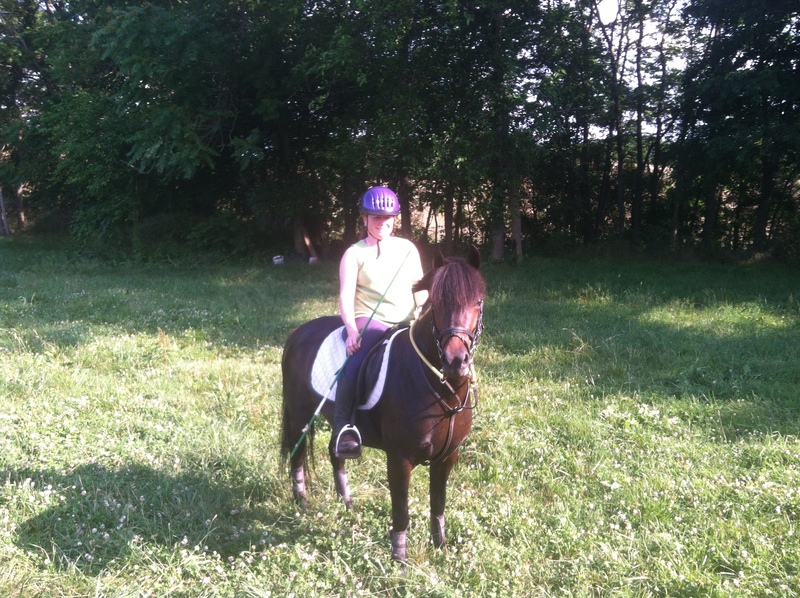 Carol Ann found Jinny on Facebook over the winter as an unbroken free Welsh pony, and has since gotten her all straightened out and well under saddle. I grabbed Simon and we had a nice little practice. 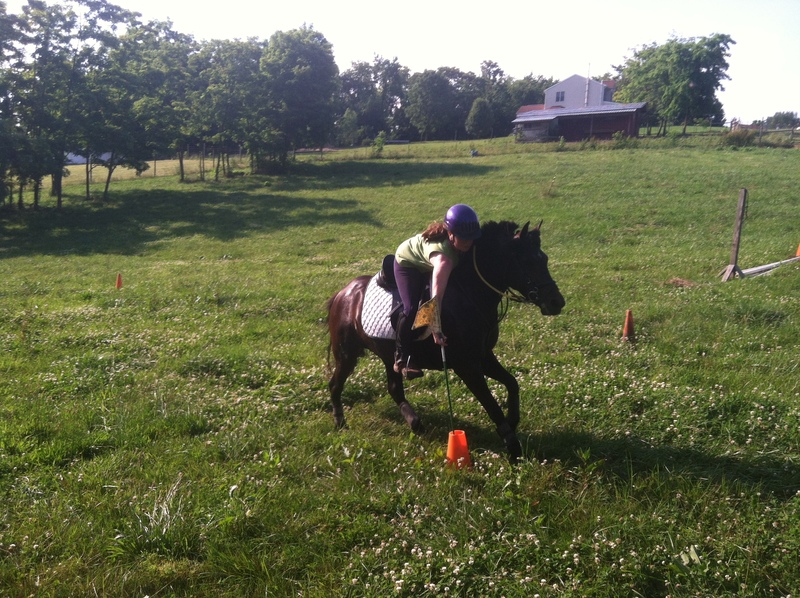 This was Jinny’s first time off Carol Ann’s farm, and the first time practicing games with another pony. So she learned about hand offs, and quickly picked up the skill. We went through several races and had a good time. Jinny still needs to learn to neck rein, and get a better feel for the races, but she already has quite a bit down. 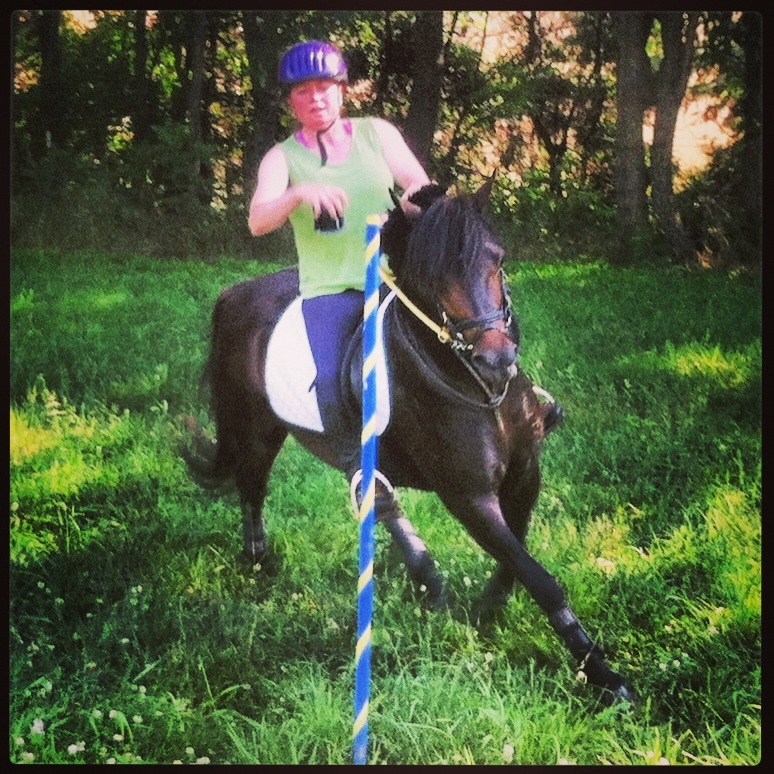 A pony that is clearly geared right for the sport, Jinny is going to make Carol Ann a nice little games pony. And have I mentioned how cute she is?